Today: The Confederate Battle Flag; Tomorrow: You?! 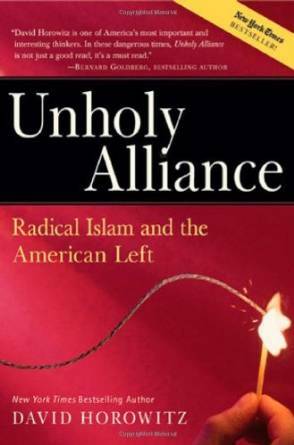 This is correct: the American Progressive Left has been allied with Islam for some time now. Both seek to control every individual in this nation. Both try to do this by destroying the past. Both think they can use the other to achieve their goal — at which time, both will seek to kill off the other. Why? Because both reject the One True God and His Natural Laws. Previous Previous post: First ‘Gay’ Marriage, Next — ANYONE Who Objects! Next Next post: More Evidence U.S. Constitution Dead! Time to Secede! If the Muslims gain control there goes all the monuments, museums and all church’s will be converted to a mosques. Just what the American Voter wants. If they only knew the hell on earth they are creating. NOT ‘if;’ WHEN! Islam i the fastest growing religion in the world and the US. Primarily through birth (and now, immigration), but also by evangelism. It has ben estimated that this nation has less than 20 years before Islam is the majority faith. It has already reached a tipping point in England, and Europe is already gone. We are next. HOWEVER, you and I know it will not get to that point. God will not allow it. Christ will return first. Have been looking into these numbers a bit. Christianity is growing faster in the realm of COVERTS…..especially in fundamnetalist Evangelical churches. Islam by birth you are correct. Currently about 2.2 Billion Christians…and 1.65 Billion muzzies. But as you say muzzie births are higher and relatively speaking….muzzies are taking over through “immigration”…..because NOBODY wants to immigrate to a muzzie S-Hole country. So immigration is very one-sided. Dig deeper. Leaders within the Christian Church say that only 10% of ALL those people in the pew every Sunday actually try to live according to Christ’s commands. Now, I know this will not set well with many of those who call themselves Christians, but there are Scriptures — several from Christ, Himself — that suggest those who just claim the name of Christ but ignore His commandments will be shut out of the wedding feast. NOT a place I want to be, you know what i mean? Digging deeper, many of the NEW Ecumenical converts are Truer Christians than those who have been sitting in the pews for years taking up space. No argument with the dead weight figure at all. Thus those following True Christian teachings are accelerating in numbers. As against those in islam who are propagating numbers only by birth. Which means these muslim’s convictions are as shallow as the “dead weight” Christians. I think the reality of True believers is somewhat hidden from us actually.